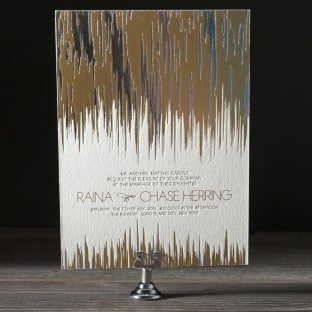 Always keen on embracing it’s wild side, Fugue shines fiercely with a lavish display of bold ikat influenced artistry. 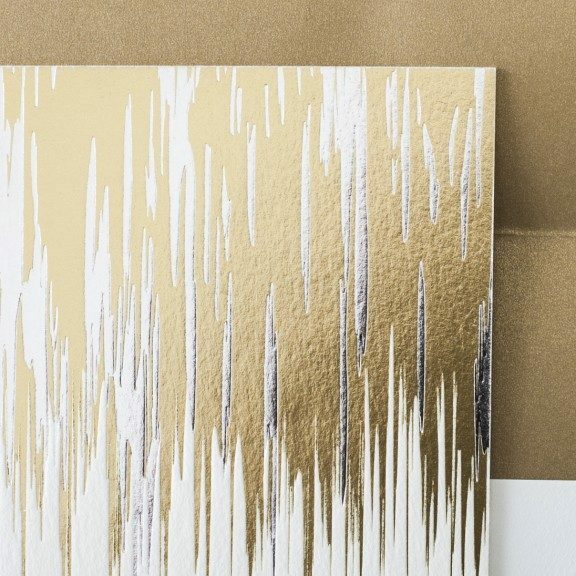 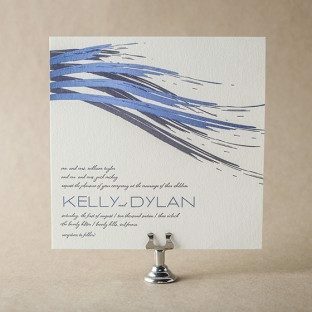 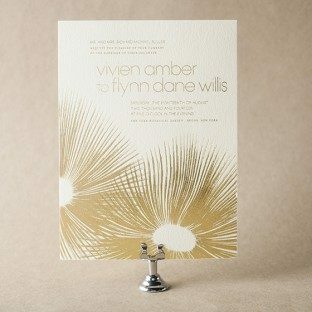 This boldly modern letterpress design from Kamal is unique, trendsetting, and irresistibly adventurous. 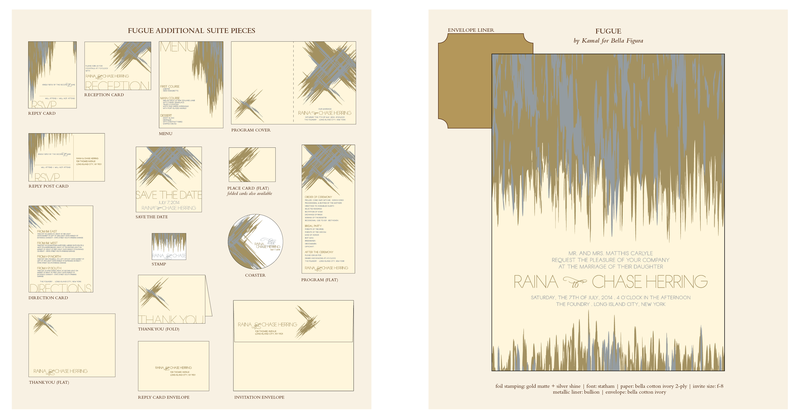 View additional pieces in the Fugue sample suite. These vibrant Bar Mitzvah invitations feature our Spring Green + Black letterpress inks along with Silver Shine foil stamping. 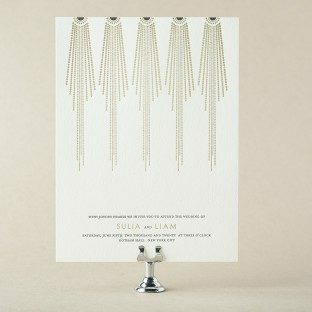 We love strong designs that carry through to all of the accessory pieces. 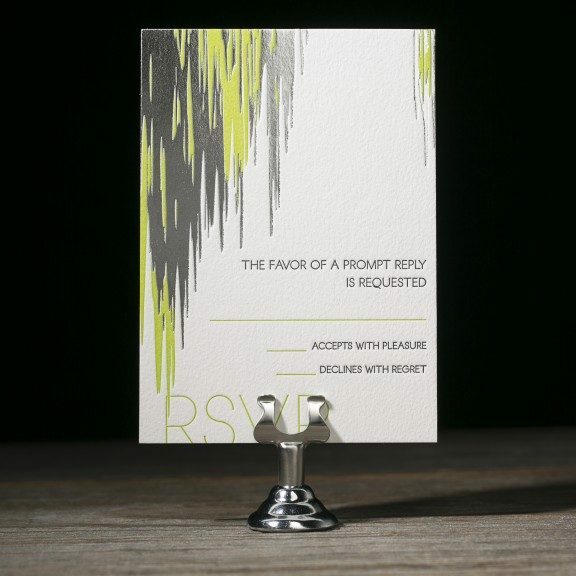 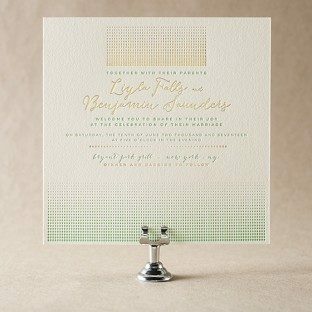 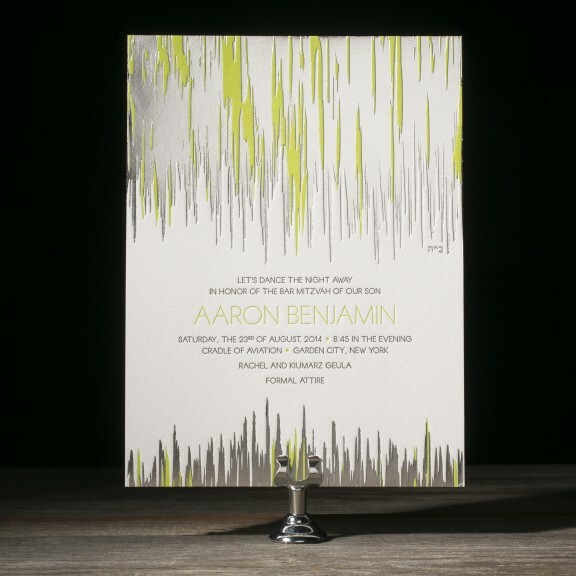 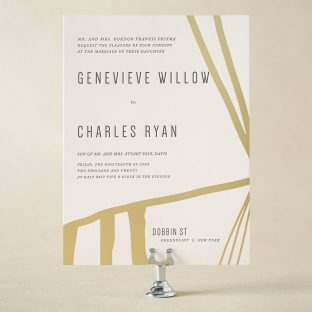 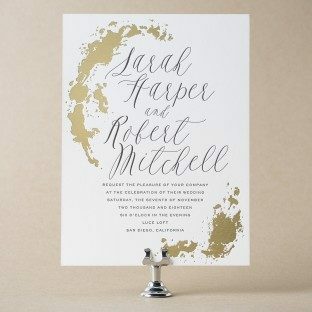 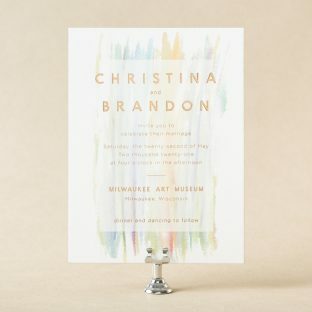 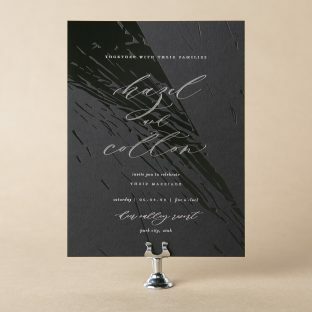 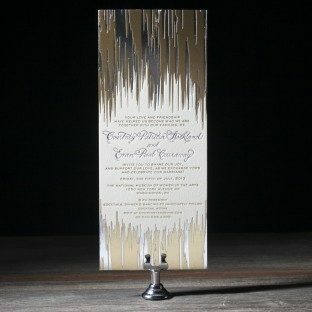 This Fugue reply card boasts a bold design in Black and Spring Green letterpress ink and Silver Shine foil. 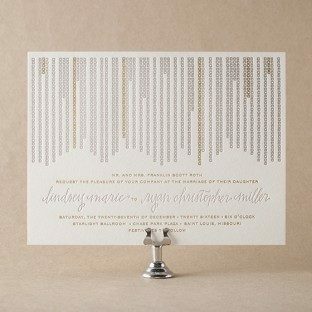 Looking for a fun way to direct people to your wedding website? 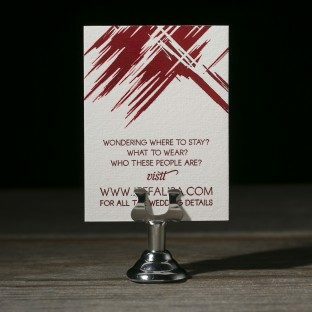 This Fugue website card in Red Shine foil is a bold and effective way to draw attention to your website, especially if you want guests to see important information relative to your celebration. 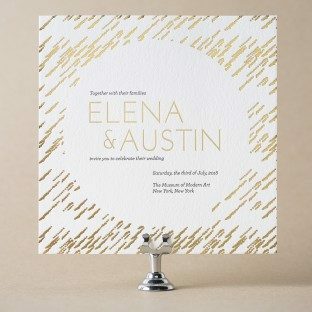 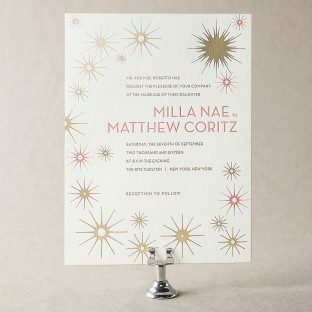 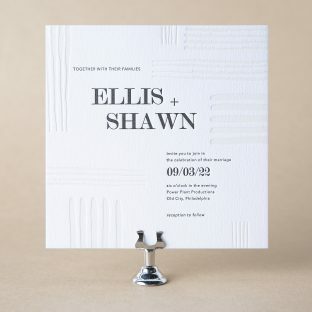 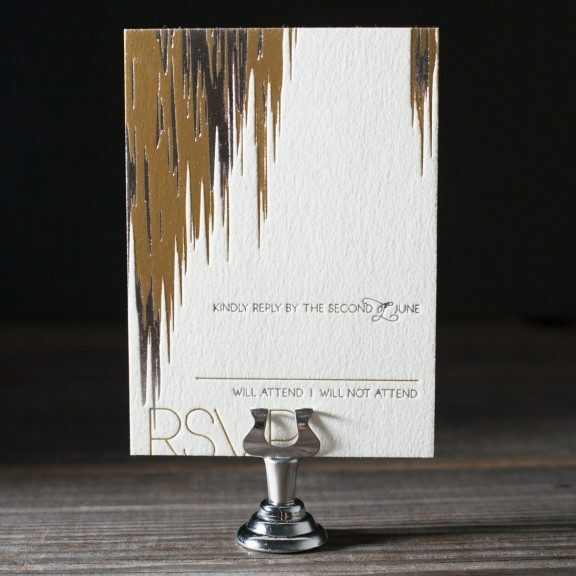 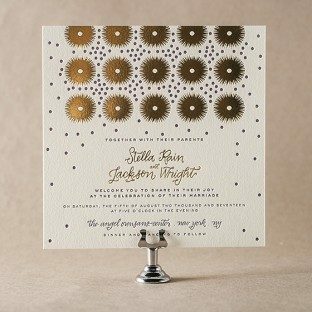 This customization of our Fugue design still boasts the lavish, double foil look of the original but is modernized and personalized with hand calligraphy from Sarah Hanna and printing on our ultra modern #10 size card.